The bridge originally was constructed in 1894. 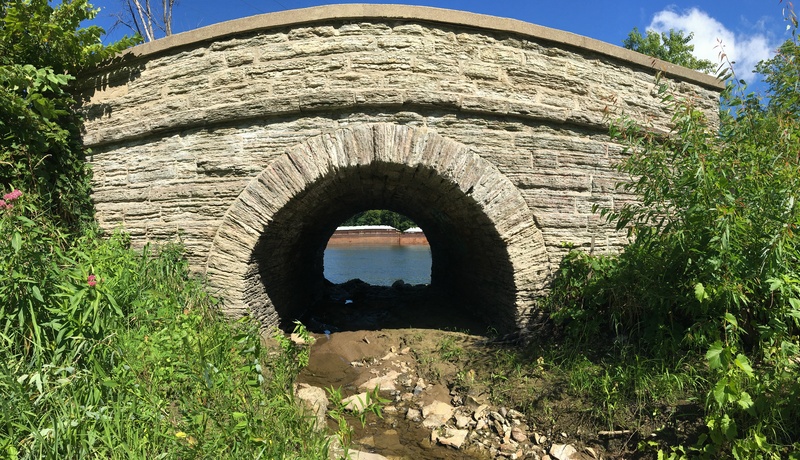 This historic single-arch limestone bridge received funding from FEMA to rehabilitate the structure that was damaged during 2014 Mississippi River flooding. The bridge will reopen to bicycles and pedestrians in early summer. Until then, trail users area being routed around on Water Street. When warm weather and river levels allow in spring 2018, masonry and trail improvements will continue to completion. The rehabilitation and stabilization construction began in September 2018 but completion in 2017 was prevented due to fall river flooding and the arrival of winter weather.